If you're looking for forklifts trucks then there's only one name you can trust that has a reputation of quality service, Hyundai Forklift of Southern California. Since 1947, this trusted business has been supplying forklift trucks to Los Angeles, Orange County, San Bernardino & beyond. 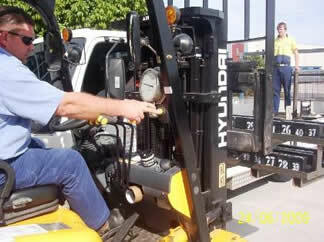 When you need top quality forklift trucks to buy or rent then you need Hyundai Forklift of Southern Californias. 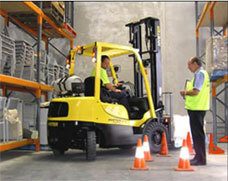 Check out our forklift trucks by Hyster, Nissan, Clark and Toyota. Success - it's all about providing forklift service our customers can rely on. That trust was built upon a forklift service company supplying superior products, topnotch technicians and quality repairs. At Hyundai Forklift of Southern California, our large staff of experienced in-house/radio-dispatched forklift service technicians is highly proficient at repairing or maintaining any kind of forklift . . . regardless of its size. They should be. Each one has an average of 20 years experience. That means when you get forklift service from us, it's not only fixed, but it fixed right. Comply with the law and provide a safe environment for your employees. At Hyundai Forklift of Southern California, your company can rest, knowing your operators are obtaining forklift certification via a successful program. Our Forklift Safety Training class has awarded forklift certification to hundreds of operators over the years. Fees for the OSHA-compliant program include all course materials and documentation for completion of the class. For their forklift certification, operators sit through two to three hours of classroom instruction, review the video material and pedestrian safety precautions, receive an evaluation of their driving and maneuvering in various scenarios, as well as other related concerns in forklift handling.